JAMMU, Jan 20: Entire Opposition today staged walk-out in the Legislative Assembly after holding protests and shouting slogans against Centre and State Governments over their failure to protect lives and property of the border dwellers, who have been suffering due to intense shelling and firing by the Pakistani troops. Ruling BJP members countered the Opposition by shouting slogans against Pakistan while their Alliance partner, PDP MLAs, maintained silence. Later in the day, Parliamentary Affairs Minister Abdul Rehman Veeri made a statement in the House on border situation advocating restart of the process initiated by former Prime Minister Atal Bihari Vajpayee. As soon as the Assembly proceedings began for the day, all National Conference and Congress members, joined by lone PDF MLA Hakim Mohammad Yasin were on their feet saying the people have been suffering on the borders and the Government has failed to protect them. National Conference MLA Ali Mohammad Sagar regretted that the Government was not even ready to give statement in the Assembly on the border situation as he had thrice raised the issue yesterday but the Government didn’t respond. “Where is 56’’ chest now,’’ NC MLA from Mendhar Javed Rana, who had trooped into Well of the House, said in a reference towards Prime Minister Narendra Modi. 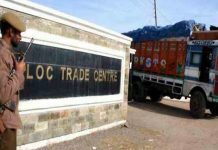 Without naming Dr Jitendra Singh, Sagar said a Central Minister has targeted Kashmir-centric politicians but he should know that the NC had asked for statement on border situation from the Government three times yesterday. However, he regretted, the Government didn’t bother. 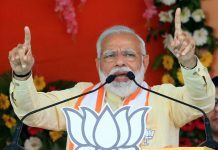 The BJP members repeatedly shouted “Pakistan Hai Hai’ and ‘Pakistan Murdabad’ slogans to shout down the Opposition members but the latter retaliated with ‘BJP Murdabad, Murdabad’, “56’’ Ka Seena Hai Hai’’, “Nalayak Sarkar and Buzdil Sarkaar Hai Hai’’. Amidst pandemonium, BJP president Sat Sharma and MLA Nowshera Ravinder Raina tried to speak but they were shouted down by the agitated Opposition members. Parliamentary Affairs Minister Abdul Rehman Veeri and Relief and Rehabilitation Minister Javed Mustafa Mir intervened saying the Government was ready with the statement even yesterday but would make “very comprehensive statement’’ in the House today on the border situation. Congress MLA from Banihal Waqar Rasool advised the BJP members to go to the borders and listen to the problems of the people saying they had made tall promises to the people but have done nothing. 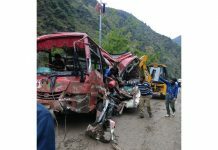 NC MLA Javed Rana said people have been suffering heavy losses. After about 15 minutes of protests, the Opposition MLAs staged a walk-out in the House. Later, Parliamentary Affairs and Revenue Minister Abdul Rehman Veeri, in a statement made in the Assembly, advocated for restarting the peace process between India and Pakistan and end border skirmishes. He said the hostility between the two nations has a direct bearing on the people of the State. “We want the restart of the process initiated by former Prime Minister Atal Bihari Vajpayee to restore peace. This is the stand of our party as is the people of Jammu and Kashmir who are the worst sufferers (of border skirmishes),” Veeri said. Veeri said the forward areas in five districts in the division were affected by the sudden spurt in cross- border firing, even as administration was taking all possible steps to avoid further loss of lives and damage to properties. “The happenings on the border have a direct impact on the people of Jammu and Kashmir. We want the peace process started by Vajpayee to be carried forward so that peace is restored on the borders and people of the two countries live in peace,” he said. He said the situation near border areas was being monitored. Veeri said Rs 50 lakh has been provided out of the Chief Minister’s Relief Fund for meeting the cost of treatment and medicines for the livestock injured in the Pakistani shelling. 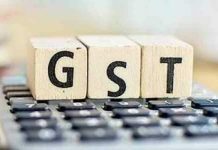 The Minister said an ex-gratia amount of Rs 1 lakh has been sanctioned for the family of each of the deceased in Jammu district, while an ex-gratia amount of Rs 5,000 each has been sanctioned for those injured as immediate assistance. He said 129 animals have died and 93 animals injured in the firing along the IB in Jammu, whereas more than 700 people were evacuated to safer places. 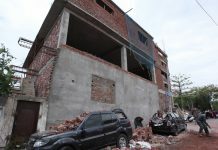 Earlier, Relief and Rehabilitation Minister Javed Mustafa Mir told reporters that some relief has been provided to firing and shelling victims and more relief will be given under SDRF norms. 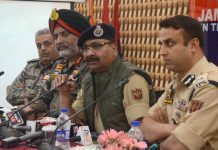 “All relief and rehabilitation measures have been taken for the border dwellers,’’ Mir said, adding the Government will ensure that the border people don’t face much problems. Speaking to reporters outside, NC MLA and former Minister Ali Mohammad Sagar criticized the statement of Union Minister Dr Jitendra Singh and said the Opposition raised the ceasefire violations issue thrice in the House yesterday and had sought a statement from the Government. Sagar alleged that the Union Minister tried to “mislead” people over the ceasefire violation by “baseless statements”. “The Government was apologetic for not issuing any statement on the issue yesterday,” he said. Congress Legislature Party leader Nawang Rigzin Jora also criticized the statement of the Union Minister and blamed the alleged “inconsistent policy” of the Centre for the frequent ceasefire violations. “This Government, both at the Centre and State, is confused. The State Government, in particular, is in chaos and involved in infighting. 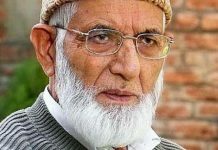 In such a situation when we do not have a stable Government in the State and Centre is indulging in flip-flops, Pakistan will continue the shelling to its benefit,” he said. Jora said the Centre has no consistent policy towards Pakistan. “One day, the Government says there will be talks with Pakistan and then suddenly retract saying no talks will be held with the neighbouring country. Prime Minister Narendra Modi went to Lahore uninvited and allowed ISI team to visit Pathankot blast site. But they blame us,’’ Jora said. Jora remined the Centre that it was Congress, which had divided Pakistan and not the BJP or Modi. He regretted that even after the humiliation of Kulbushan Jadhav’s wife in Pakistan, Indian NSA Ajit Doval met his Pakistani counterpart in Bangkok. Another NC MLA and former Minister Mian Altaf said from Poonch to Kathua, entire border was active, where precious lives of people have been lost and property damaged. “The Government of India should take steps to protect lives of the people. They had promised colonies, plots and bunkers for the border dwellers but gave nothing to them,’’ Altaf said. “Where has the 56-inch chest gone? Our people are getting killed and displaced daily and the BJP leaders are doing politics over the miseries of the people,” Congress legislator Wakar Rasool said. 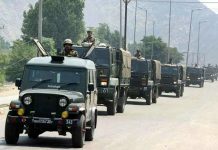 BJP MLA Ravinder Raina, however, said that Pakistan was being given befitting reply by the Indian troops. During Question Hour, NC MLA from Bishnah Kamal Arora also trooped into Well of the House carrying a banner seeking plots for the border dwellers. 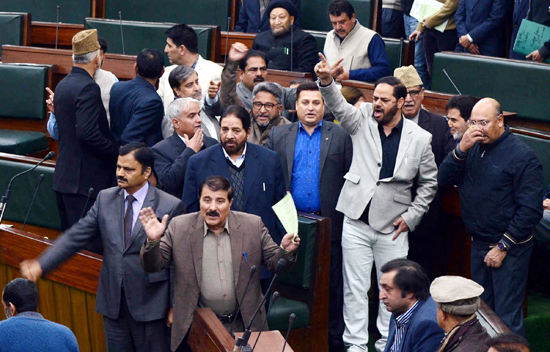 The House again witnessed noisy scenes in the second sitting after Minister of Health and Medical Education, Bali Bhagat mad a suo moto statement on border firing. As Minister took his seat, the Congress Legislative Party (CLP) leader and former Minister, Nawang Rigzin Jora stood up and said “I have apprehensions about the Foreign policy of your Government’,’. “When there is shelling from across the border from Hiranagar to Poonch then what the National Security Advisor, Ajit Doval is doing in Bangkok and why he is holding a secret diplomatic mission with Pak Security Advisor there”, he asked? Soon entire Opposition stood up from their seats and there was uproar in the House. BJP’s Ravinder Raina countered Jora but nothing was heard in the din. However, Bali Bhagat said that India is capable enough to deal with the border situation. He said “when need arises we will go inside the Pak territory to attack them”. PDP MLA from Rafiabad, Yawar Mir also joined the issue and said that yesterday when he sought a report from Government that cattle were killed in a village , I was told that no cattle was killed and not a single round was fired when 140 cattle actually were killed there. However, differing with what Jora said, former Minister and NC MLA, Ali Mohammed Sagar said that dialogue is the only solution to end present hostilities on borders between the two countries. The MLA asked “don’t we have the right to speak in the House”. However, Speaker reprimanded him for creating a scene in the House. As Larmi was protesting in the well, Ali Mohammed Sagar said that every political party has its own stand and BJP has one stand because they are representing one political ideology. “But our stand is that dialogue is the only way out and those who are opposed to dialogue are not the friends of the country”, he added. Meantime Larmi returned to his seat and started shouting from there. 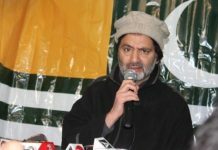 He was supported by his Party colleagues Mohamed Akbar Lone, Mubarak Gul and Ishfaq Jabbar. Larmi pointing towards Minister of Revenue, Haj &Auqaf and Parliamentary Affairs, Abdul Rehman Veeri told him “you are under pressure as you had informed to make a statement at 4 pm on issues raised by me regarding my Constituency but you did not keep the word. Continuing protest for not giving him the time to speak, the NC MLA said that he has not come to the House for getting pay or a Government vehicle and he again came to front row in protest. Speaker, while pointing towards him asked him to leave instead of creating a scene in the House. The agitated member said “why should I leave don’t I have right to speak”. All NC MLAs supported him saying that the member should have been allowed to speak and they staged a walkout in protest. Earlier making the statement on border firing Bali Bhagat informed the House that 449 km long border right from Kathua to Poonch including 192 kms long IB from Kathua toAkhnoor and 257 kms long LoC form Akhnoor to Poonch is tense due to shelling from across. He said the Health Department has been kept alert in the entire belt and 197 ambulances including some critical care ambulances have been kept at the disposal of the Department. 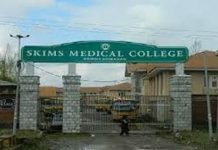 In the health institutions from Kathua to Poonch surgeon specialists, Orthopedic surgeons and Anesthesiologists have been engaged, besides deploying additional manpower.